One of the most exciting elements of Taylor’s Professional Writing Program is the opportunity for students to be published in books and magazines–sometimes as early as their freshman year! 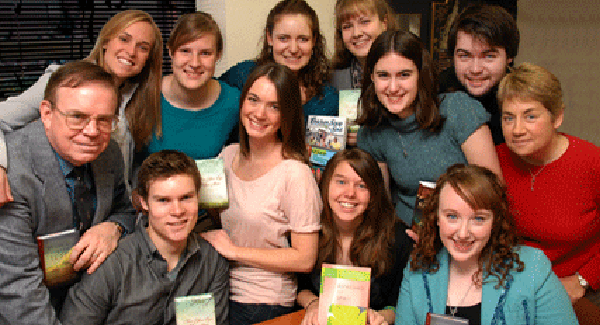 These students hold copies of books where they contributed stories and devotionals. These include Turn Your Eyes Upon Jesus (Worthy Publishing, 2011) and Heaven Calling (Worthy Publishing, 2010).